I’m a big fan of coffee. I’ve always thought that the coffee that American served on board had an odd, flat but not necessarily bad, I think I like it, kind of taste, but let’s just say it’s not as good a most coffees available at lower altitudes. I have a friend that works at Southwest Airlines and he was telling me about all the research that Southwest went through before they improved their in-flight coffee offering and introduced their LIFT premium coffee service (it’s actually quite good, and the plane smells amazing when the coffee is brewing). As part of its complimentary onboard beverage service, American Airlines will offer Java City™ coffee to all its customers inflight beginning Nov. 1. The eco-friendly, hand-roasted blend is 100 percent Rainforest Alliance Certified™, grown on sustainably managed farms. Coffee onboard American will now be served in 10 ounce cups. The new, larger cups are co-branded with Java City and the Rainforest Alliance logos in addition to the American brand. 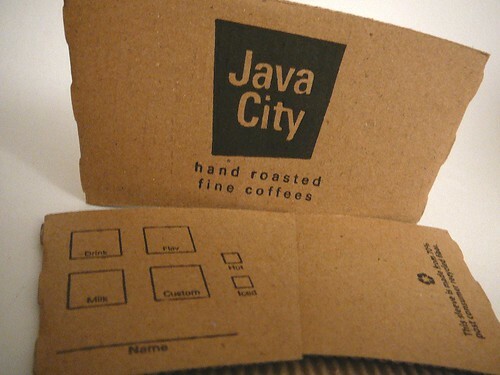 Java City makes a great roast, I’m looking forward to seeing how it taste at 30,000 feet. BTW, if you’re flying next week and get a chance to try it, share your impressions.